I’ve been on an adventure for the past few months. Abba has been digging roots of complaining, criticism and argument out of my soul. Exposing pockets of negativity hidden in plain site. It’s been….shocking. Uncomfortable. Liberating. Part of this journey was the Complaining Challenge my discipleship group participated in. It rocked my world. Opened my eyes. Shifted my perspective. Yes – it will be a challenge. Yes – it will stretch you. Yes – it will be hard. BUT – this has the potential to change your life. And I don’t say this lightly. If you participate and engage, it WILL CHANGE YOUR LIFE. So join me. What have you got to loose? And, invite a friend! Any adventure is better when you travel with a partner. 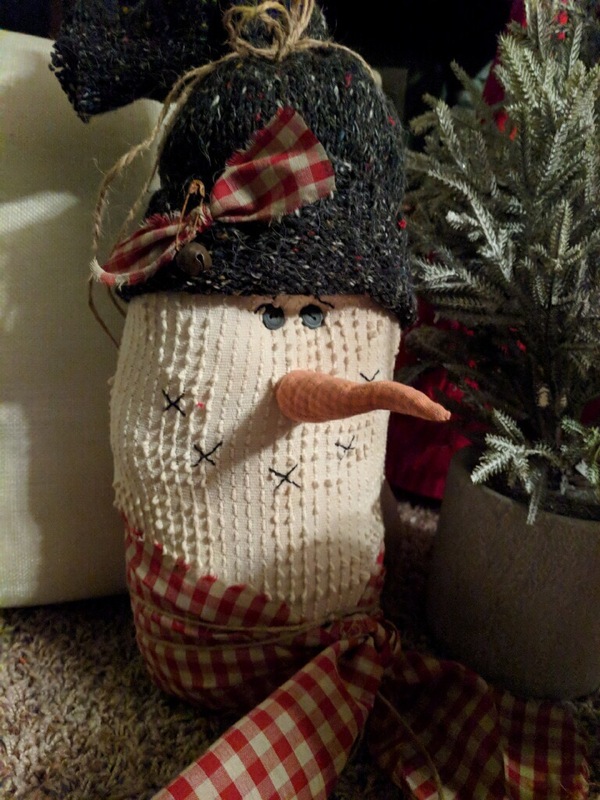 I’ll enter you into a drawing for this adorable snowman, just in time for Christmas decorating! We start THIS SUNDAY, November 12th. If you decide to join us, you’ll want to listen to this message from me on complaining. Not only is it a great way to jumpstart the Challenge, but I’ll make references to things said there throughout. You can listen by going to: https://youtu.be/3UCTvrd54fk. So – let’s do this. Let’s journey with Jesus and see where He takes us. Let’s change our life! Giveaway details: I will announce the winner on the blog on Monday, November 13. You must be over the age of 18 to enter and live in the United States. The prize will ship USPS from Cleveland, TN. Ok Kim- I shared this on FB and invited my mom, Pam, Renee, Mike, Ami and my hubby. Fantastic! I’ve entered you into the drawing. Thank you for sharing! I think this is one of the most important challenges we have had. It could change our whole world!! Thank you for the challenge!! It’s one of the toughest challenges I’ve experienced! I’m so glad you’re participating! Don’t forget to share the blog, invite a friend(s) and the comment here to let me know you did so I can enter you into the drawing! I shared and invited!! I can’t wait! Fantastic! Thanks for sharing – I’ll enter you into the drawing! I shared on my FB. Looking forward to this challenge. Been implemnting already.Not as easy as it sounds. Thanks Susan! I’ll enter you into the drawing. And you are right – it is NOT as easy as it sounds. But the reward is so sweet – it’s worth the effort. Im excited for this challenge. Icm expecting it to change my pefspective so many things! Im excited for this challenge. I’m expecting it to change my perspective on so many things! Fantastic! Did you share on FB? Invite a friend? Kim, thanks for the challenge!?! With the Lord’s help I can do this! Looking forward to the change He will do in me. I have invited my 2 sisters, a sister in law, 2 daughters and my close friend. I need some support from some of them! I’m so glad you’re joining us! I️ look forward to journeying with you! Tell me where you shared/invited (FB, email, etc) and I’ll enter you in to the drawing! Thank you for this invitation and challenge!! … Thank Sharon Dowd to challenge me too… defenetly will be a lives change!! .. Kim looking forward to meet you and share God’s work in us. I will extend this invitation in my FB page and friends . Shared….tagged 4 people. Trista Johns tagged me…. Hi Lori!! Welcome to my blog and welcome to the Challenge! We look forward to the journey with you! I’ll enter you into the drawing! Lori, you’ve won the snowman! Please email me at kim@currenttolife.com with your mailing address so we can ship to you!